Sometimes we get so caught up in our everyday business and serving our customers that we forget that maybe some people don’t know all of what we offer here at Desert Springs Landscaping. We are Las Vegas and Henderson landscapers who can provide you with pretty much anything you need when it comes to your home yard or business area. We design, construct, and maintain landscapes in addition to offering hot tubs for sale and swimming pools design and construction. To borrow a phrase from a certain Las Vegas lawyer, “One call does it all.” Our company has been serving Henderson and Las Vegas landscapers for more than 20 years. We have a long list of satisfied residential and business clients. Click now to view our official testimonials page. We understand that it can be a daunting process when it comes to making the decision to create a new Las Vegas or Henderson landscaping project. Or even to choose a landscaping company to be your ongoing maintenance provider. But we are here to make it as easy on you as possible, and will offer a free consultation prior to anything moving forward. 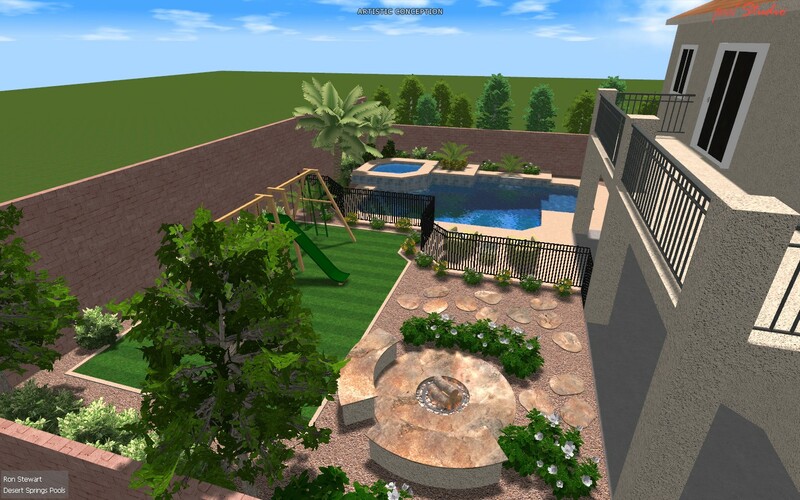 A major benefit of working with our company is that we will provide a 3D landscape rendering so you can see your yard or business area come to life prior to committing to anything. And we also have a showroom where you can come touch and feel your new Las Vegas hot tubs. We offer Marquis spas and hot tubs, and you can also view some of our landscape and pools design work in person. Our Las Vegas swimming pools and landscaping showroom is located at 8130 S. Valley View Blvd. Plus you can email me, Rob, the owner, at Rob@desertspringslandscapingllc.com for personal service. Or call our offices at 702.436.8080. No Las Vegas or Henderson landscaping project is too big or too small. And we look forward to helping you every step of the way. Thanks for reading and we look forward to hearing from you. –Rob.